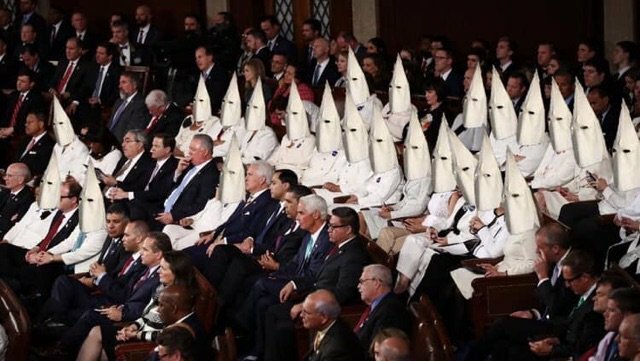 Just like old days, Democrats dressed in white, like the KKK. I thought it was a great speech. I would have cut out the family leave nonsense and the needless infrastructure. I completely enjoyed his comments about Socialism- I wish it were true that we will never be a Socialist country. Socialism is creeping into our society in a steady incremental march. The more we get the less America we will have left. But it was a wonderful speech, had all the lefties grinding their teeth! Nominated by a Democrat, former President Bill Clinton, in 1993, she has never gone to the State of the Union while a Republican — either George W. Bush or Trump — was in office. It’s not unusual for justices to skip the State of the Union, though others don't have a partisan record of attendance to compare with Ginsburg's. Bolded mine. 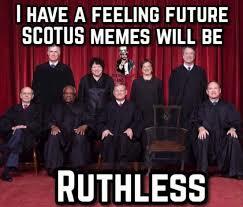 I thought the supremes were supposed to be unbiased. Silly me. ... had all the lefties grinding their teeth! 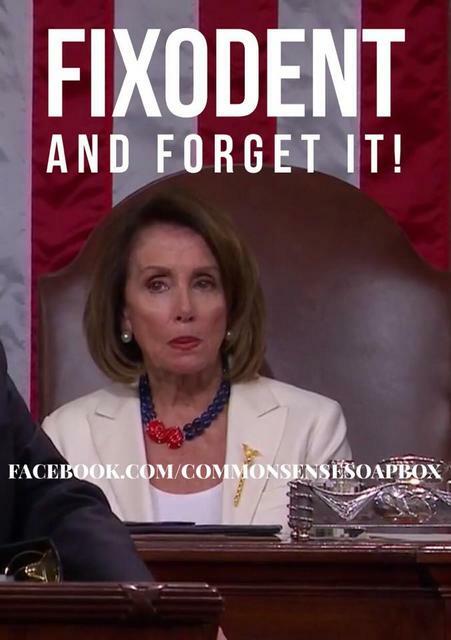 Is that what Nancy was doing with her mouth? I thought her dentures had come loose. 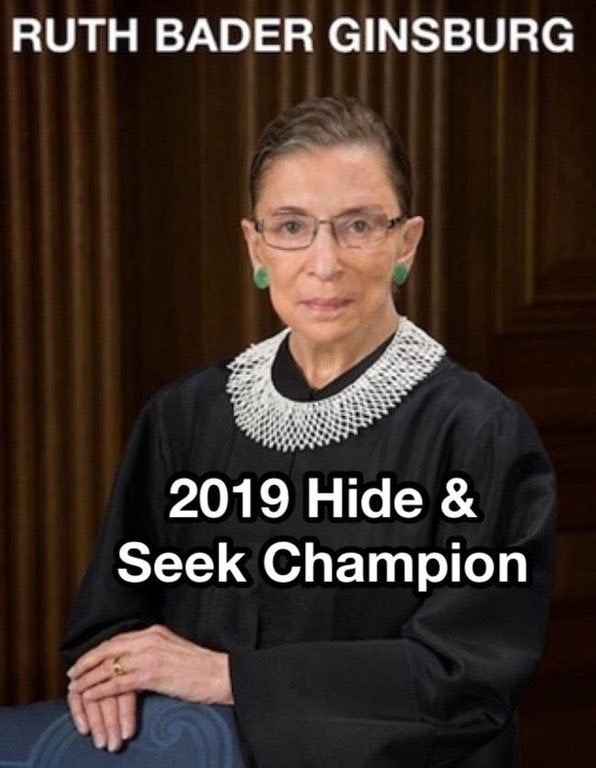 She's also never attended one while dead.... still a perfect record!